More than two thousand researchers have signed a petition to boycott a new Nature journal over the fact it will be available only by subscription. The new journal — Nature Machine Intelligence, about machine learning — plans to charge readers for access, unlike most other journals in the field. The researchers who signed the petition have pledged not to submit their work to the new journal, and will decline to review or edit papers for it, as well. [We] believe the adoption of this new journal as an outlet of record for the machine learning community would be a retrograde step. In contrast, we would welcome new zero-cost open access journals and conferences in artificial intelligence and machine learning. I expected this initiative to be strongly supported by the research community, but I am surprised at how quickly the signatures have accumulated. Free and open access to knowledge is important in all fields. It is particularly important for students and faculty whose universities cannot afford the subscription fees for closed-access journals or cannot afford to pay (as authors) for their papers to be open access. Open access speeds up scientific progress by enabling anyone anywhere on earth to read the latest research and make their own contributions. The machine learning community has embraced openness in publishing papers, software, and data sets. We have previously fought with Kluwer Academic Press…over open access to the journal Machine Learning (which I served as Executive Director for 6 years from 1992-1998). This resulted in a partial victory in that papers in MLJ are now open access 1 year after publication. It also resulted in the creation by Leslie Kaelbling (MIT) of the Journal of Machine Learning Research, which continues to be the most prestigious place to publish journal-length machine learning papers. According to the petition, in 2001, the editorial board resigned from a subscription-based journal, Machine Learning, now published by Springer (which has merged with the publisher that includes Nature Publishing Group), and formed the open-access journal the Journal of Machine Learning Research (JMLR). We respect your position and appreciate the role of OA journals and arXiv. We feel Nature MI can co-exist, providing a service – for those who are interested – by connecting different fields, providing an outlet for interdisciplinary work and guiding a rigorous review process. We support the machine learning community’s view that open access and preprint servers, such as arXiv, have important roles in the dissemination of research. At Nature Research we are also achieving this by helping the community to freely share their discoveries by encouraging preprint posting and data- and code-sharing. We continue to extend access to all Nature journals in various ways, including our free SharedIt content-sharing initiative, which provides authors and subscribers with shareable links to view-only versions of published papers. 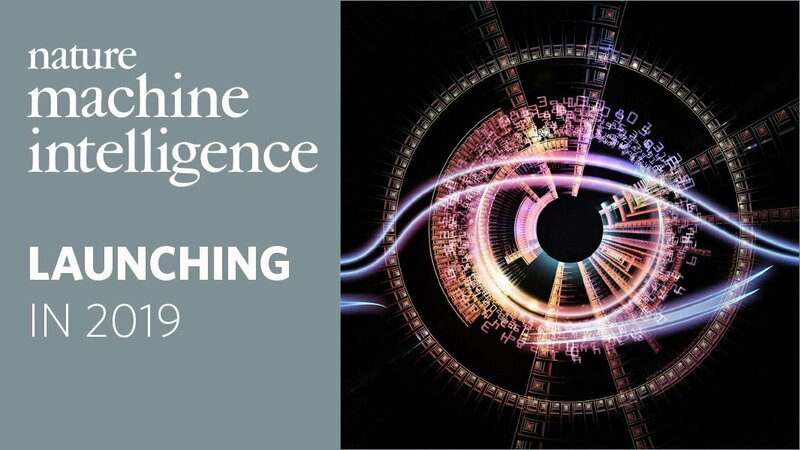 Selective journals like Nature Machine Intelligence — which involve substantial editorial development, aim to provide high levels of author service and publish informative, accessible content beyond primary research — require investment. At present, we believe that the fairest way of producing these journals, which ensures their long-term sustainability as a resource for the widest possible community, is to spread these costs among many readers — instead of having them borne by a few authors. We hope to prevent the establishment of an expensive closed-access journal in the machine learning field. This could unfold in a number of different ways. For example, Nature Publishing Group could make their new journal free and open access or they could decide that there is not a viable business in the machine learning area. The new journal is scheduled to launch in January 2019. O cost open access publishing !!!! Intersting. It’s not a new idea in this field: the Journal of Artificial Intelligence Research (JAIR) is zero cost open access and has been around since 1993. Yah, I was only an AI grad student for two years (picked very much the wrong program, but I was naive), and back in the early ’90s, everything happened at conferences and in the “proceedings” thereof. Open access is the best thing ever happened in machine learning. That is one of the major reasons that the field is prospering. If you take away that only thing left will be hype. The big hole in the idealism of open access (which in principle is wonderful) is that somebody has to pay for the overall organization, servers, etc. In these days of hacked budgets it seems to be yet another cost dumped on PIs. The cost of complying with NIH open access rules for my last publication was equivalent to the price of two microfuges. Svat – Thanks much! That article provides superb context. Recently Nature Publishing Group has been creating several field journals, which they try to market as the most selective and highest impact in their respective fields. I find their attempt to hi-jack fields with established (often open-access) journals very annoying and I will not submit to their journals or review for them. Although scientists generally don’t think that “Nature something” means good quality, unfortunately department heads and deans are often suckers for anything Nature or Science. What’s next? Nature Hot Rods? Nature Train Spotting? “Nature Vegan Pizza” would be very welcome. Mmm let’s make open access journals without pushing the authors to pay the fees ! the only way is by PrePrints ! and Arxiv is doing a great job in this perspective ! The other traditional way (pay to publish) for openness and free science etc Bla Bla Bla is just a stupid idea ! Why should I pay to publish my papers ? Because then your papers will be peer-reviewed, potential errors spotted and corrected, and it’ll make a more solid and more readable contribution to science that other people will be more inclined to trust (with a pinch of salt, as usual). This added value, as well as final hosting for decades, has a cost. I’m not saying journals have you pay a fair price for publishing, far from it, but it can’t be free as in “free lunch”. Too bad none of the money you pay for the journal goes to the reviewer. They do know about the role of arXiv and open-access for their research. All electronic journals must be free of charge. The ad revenue is enough for them. Nothing is better than the righteous outrage of the selfless scientists rising against for-profit scientific publishers. Some of them even take their case against Nature AI to the legacy media, for-profit news outlets (as an aside – why pay for NYT when you can get the news from Breitbart or Daily Stormer for free, right?). And some fraction of these “some” have enough awareness to indicate that while they hold such and such positions at universities, they are on leave at Amazon or Google. Some drop their academic positions altogether. In fact the brain drain in academic AI prompted a number of publications to bring up the spectre of “poaching” and forced universities to scramble to fill the gaps in the faculty after the industry had its picks. Somehow making one’s contributions an IT of corporations thereby withdrawing them from public access altogether does not appear to some as big of a problem as the imposition of publication/subscription fees. And no good outrage would not be complete without the mention of “the poor”, in this case those scientists from the far corners of the world who can not afford the subscriptions. This is indeed a problem, but I am yet to see even one of the benefactors of this “poaching” sharing the surplus in salary with the very same poor whose access to AI papers vexes them so much.